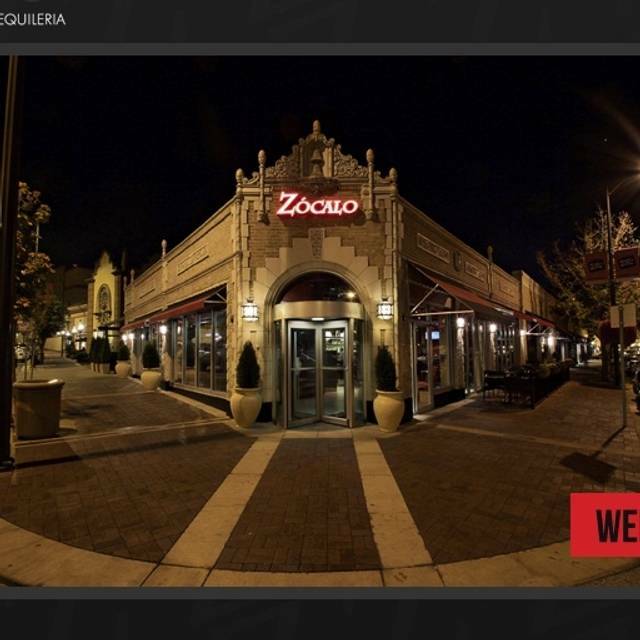 You must make reservations at least 5 minutes in advance of the time at Zocalo Mexican Cuisine & Tequileria. Dinner: Monday - Thursday: 3:00pm - 12:00am, Friday - Saturday: 3:00pm - 1:00am, Sunday: 3:00pm - 10:00pm. Weekend Brunch: Sunday: 11:00am - 3:00pm. Join us every Tuesday for Tuesday's at the Tequilaria, all day drink and food specials! Thursday, Friday and Saturday late night DJ's. Join us every Tuesday for Tuesday's at the Tequilaria, all day drink and food specials! Thursday, Friday and Saturday late night DJ's! Give us a call to see what we can do for your catering needs. 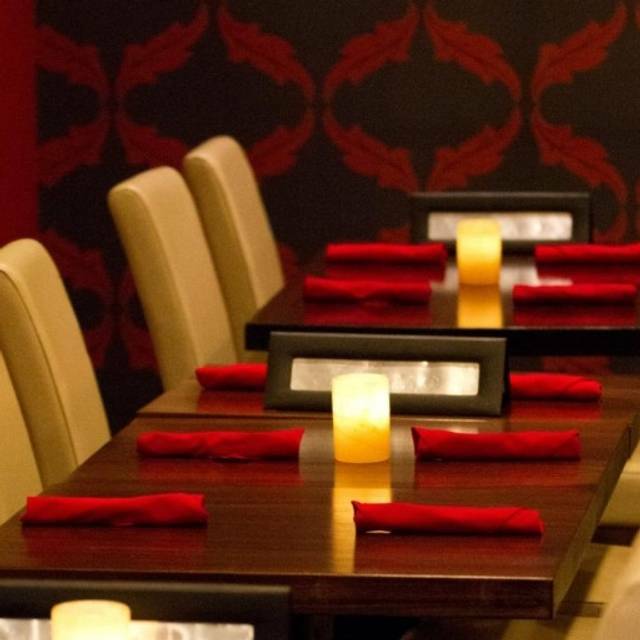 Zocalo Mexican Cuisine and Tequileria offers a fresh, contemporary approach to traditional Mexican Cuisine. 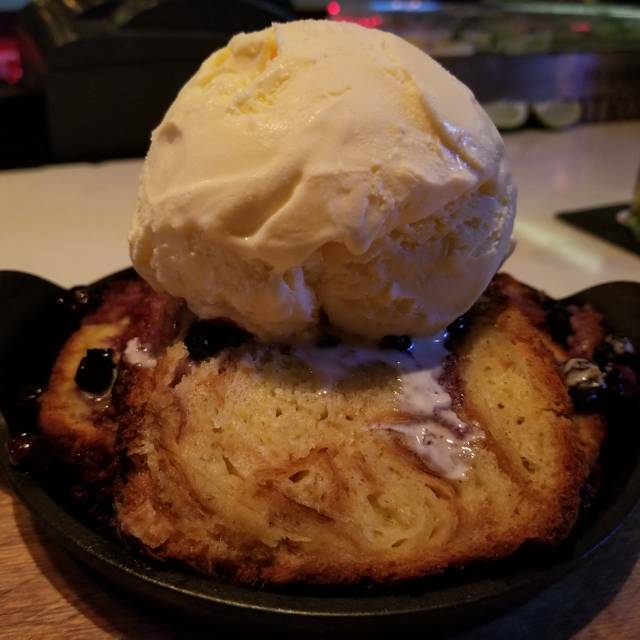 Begin with our bacon-wrapped jalapeno poppers; enjoy our fresh Pan-Seared Sea Bass in a Summer Pozole Broth or Lobster & Crab Quesadilla delivered with impeccable, personalized service in a warm, comfortable environment. With an extensive tequila and mezcal list featuring over 60 tequilas and mezcals made with 100% agave, you can sip them neat, enjoy them among one of the many tequila flights available or simply in one of our hand-crafted, signature Margaritas. 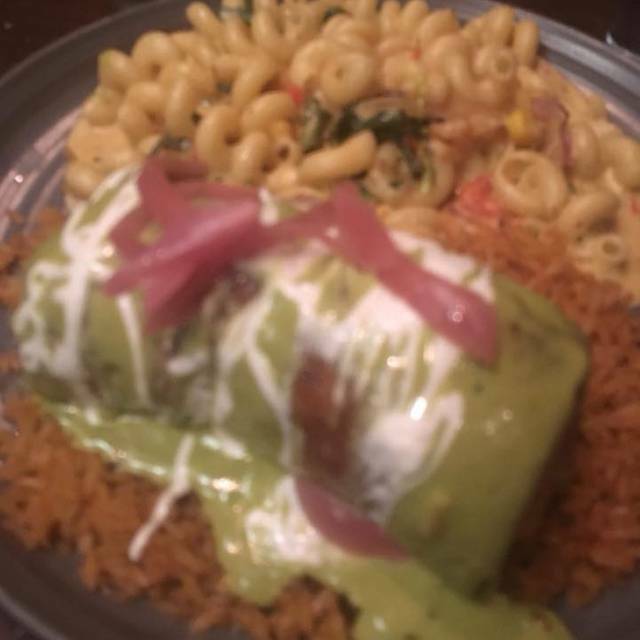 Come and indulge in an affordable, unique and unforgettable experience at Zocalo on Kansas City's Historic Country Club Plaza. Fantastic food. Great margaritas. Perfect location on the Plaza. All the windows were open, and it was windy and cold in the restaurant. LOUD Rap music, did not go with the environment/theme. We sat for 12 minutes before we got a waiter to come by to offer to bring us water. We looked around and saw very few people eating (waiting for their meals) Restaurant was not crowded at all, and you could just tell you would regret staying. We left before he came back withe the water . Good luck Zocalo, you will need it !! Had very slow service. Received cold coffee, spoons when asked for forks and one of our guest said seafood enchiladas had so much cheese you couldn't taste the seafood. Sat on the patio which made for a lovely evening. The food was excellent. Contemporary decor very pleasing. I was highly disappointed in this dining experience. It started as we walked into the restaurant. We were never greeted at all by the hostess. She stood there looking at us and waited for us to address her. Then we ordered the queso fundido and the cheese was over cooked and had a thick hard crust. Throughout the night the waiter was sparse and rarely checked in on us except to give us the check. A different server asked if they could clear the table for us. The real disappointment was that when I set the RSVP I noted that we were coming in to celebrate a birthday, and that was never acknowledged. I doubt I will be returning to Zocalo any time in the near future. We had a wonderful start of our day, meeting friends for brunch. What great service, and great brunch deal!!! Food was perfect in taste, maybe a bit too much for brunch, but I can't complain about that! All and all, a great place with great service - just can't wait for warmer weather to use their patio! I been to zocalo a few times before with friends for drinks at the bar and it’s always been nothing but a good time ! Great Place, Great food, Great Atmosphere...good prices. Will be back! Zocalo was a perfect date night experience. My husband and I was pleasantly surprised with the ambiance and the food. He had the fajita's and I had the empanada's. Both were wonderful. The red sangria was excellent! I recommend this place for date night or for a small gathering. Was my 1st visit and it was perfect. Our waitress made sure we had everything we needed. Even recommended things for us. Lighting and music was on point. We'll be back!! Love this place! Been several times and the food and service are always amazing! Service was lacking—waited 35-45 minutes each time waiter would come to table. When you make a reservation- the don’t tell you you can’t reserve tables where you are able to purchase happy hour drinks/foods. That area is FCFS. Cold in there as well. Great food and spicy margarita. The service at the front was slow and drinks took a while to come out, but our server was very nice. My parents loved their food (shrimp tacos and seafood enchiladas). I should have sent mine back. My chicken was charred black on the bottom and very rubbery. Sides were good and drinks great. Server was very nice. Excellent service and food! I will be back with my husband for sure! No one in our party had eaten here before. Everyone enjoyed the food and plans return visits. Not as good as before. Chicken was dry and they seated us by the door on a cold night. Chips tasted rancid. The Chilean sea bass is absolutely amazing. But food took entirely too long to come out, and our appetizer was served at the same time as the entree. We were very underwhelmed by our experience. There was no hostess when we came in, and we waited for more than 15 minutes for someone to ask if we had a reservation. We were sat in an area where we had hardly any room to comfortably sit due to a very large party that probably needed an area that had more space for them to sit. Then we waited another 20 minutes for someone to take our drink order. The food we ordered came out incorrectly; the steak was severely under cooked; and it took them more than 30 minutes to bring out the correct food. 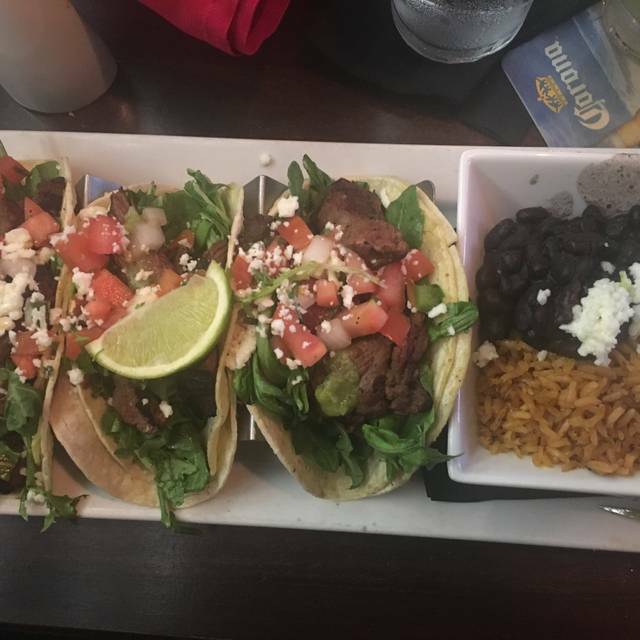 We were excited to try this restaurant, and the server was extremely apologetic; however, we left feeling disappointed with our experience and aren't sure if we would return. Had to chase down the waiter to take our order. Received our food more than an hour after we ordered. Manager explained the delays were due to several large groups attending at the same time. I am guessing these groups booked ahead (like we did for our group of 8), so it shouldn't have been a surprise to the staff they were going to be busy on a Tuesday night. Manager bought a round of drinks and apps to make up for the delay so that was nice. I ordered the Sea Bass which was really good with lots of flavor in the sauces. Most of the rest of our party had tacos of some sort which looked good and everyone seemed to like them. If I am on the Plaza and wanting Mexican food, I would probably stick with Chuy's. Not as upscale as Zocalo but always prompt service even when they are busy. Great food and service. Enjoyable dinner. I love the chips and salsa!! Our server was the best! It was our first visit and he had lots of recommendations and super patient. The food was wonderful and the chips to die for. We ate 2 full baskets and started on a 3rd!! Our waiter was attentive, but not overbearing. The price was reasonable as well. Local gem. Food exceptional. Chilaquilas are out of this world. Outstanding Fajitas. Perfectly crafted guacamole. Generous, tequila list: mezcal too. Served by Aron, extremely kind, thoughtful. We went on Christmas Day eve, they may have been short staffed, the kitchen was backed up so everything was slow. 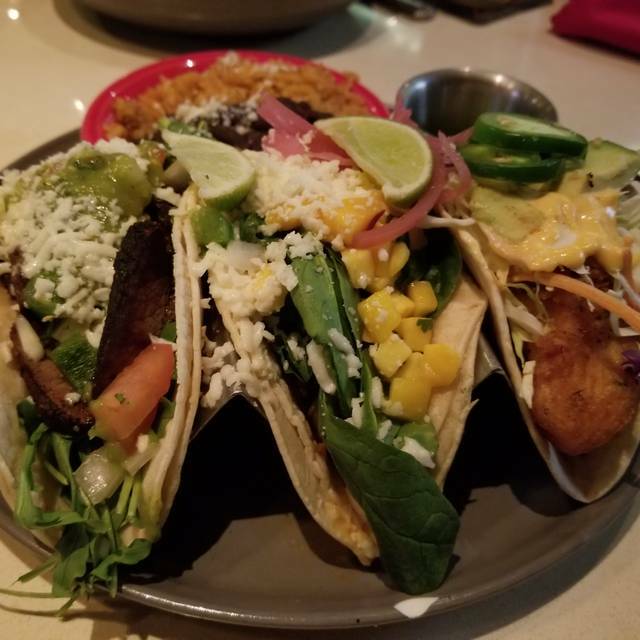 But we enjoyed what we had - different variations of tacos. And the bar menu had some really interesting cocktails, I tried the Mexican Mule and it was fantastic. Poor service. Food over cooked. Very enjoyable and excellent food. Loved the quest and the pork belly chimi. My husband and I live half a block from Zocalo and were pleased to make an OpenTable reservation for Christmas . As we were walking home a man lowered his car window and called to us: "Merry Christmas. We see you are carrying restaurant boxes. We are looking for a restaurant that is open on Christmas." My husband pointed to Zocalo and said we had just come from your restaurant. Due to odd circumstances, our family celebrated Christmas and a birthday at Zocalo. We have several picky eaters in this group and a wide range of ages. Every single person was happy with their meal and the service was really great. We will be back! Thank you! We had fantastic server. I think his name was Aaron or Erin. Food was great and ambiance was perfect. Took family for dinner. Highly recommend. I was very happy with the cuisine. 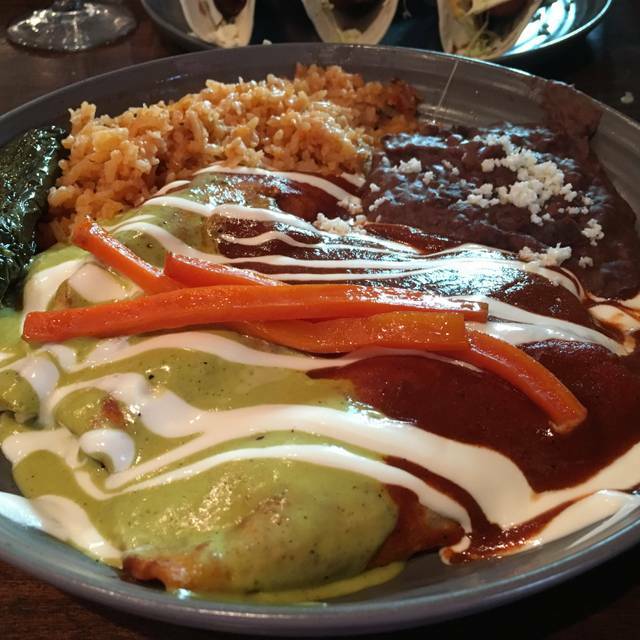 Not just Tex Mex, but a wide variety with great taste! I will definitely be returning.